Socialist candidate for vice-president of the United states (1928), was born at Reading, PA, Apr. 15, 1864, son of James and Sara (Lorah) Maurer, and a member of an old Pennsylvania Dutch family. His father, a shoemaker and a policeman, died when James H. Maurer was eight years old and his youth was one f poverty, privation and hardship, with no opportunity or incentive to obtain even a primary education. He had become a newsboy at six and after the death of his father he led for many years a wandering life, working in various trades, going from one position to another and from one town to another. At fifteen, while working in a Reading (PA) machine shop, he learned to read, his instructor being Thomas King, one of the founders of the Knights of Labor, the pioneer American labor organization. Once able to read, he devoured with avidity books on finance, the labor problem, sociology and economics, and soon after he became an organizer for the Knights of Labor and one of the ablest and most popular speakers of the organization. Then followed several more years of wandering, including a period on the vaudeville stage. Gradually he gathered sufficient experience to secure rating as a journeyman plumber, and it was in the Plumbers? and Steam Fitters? Union that he did his first important trade union work. He entered political life as a Populist and became the editor of a Populist paper, the ?Reading Kicker,? but in 1899 transferred to the Socialist party, becoming a charter member of the first Socialist organization in Reading. His ability, initiative and sound judgment attracted the attention of the leaders of the Socialist party and after a few years he began to run for various offices on that ticket. In 1906 he was Socialist candidate for governor of Pennsylvania and in 1910 was elected to the Pennsylvania legislature, being the first Socialist elected to that body. He was reelected in 1912 and in 1916, serving in all six years. In the legislature he was the recognized champion of labor and social legislation and such was the force of his personality that many of the measures he introduced and advocated, including workingmen?s compensation, old age mother?s pensions, and other social measures, were enacted into law. A vigorous opponent of the Pennsylvania constabulary on the ground that it was used to break strikes in the state, he was frequently called upon to lead the opposition to bills for the creation of constabulary forces, which were introduced into legislatures of other states. While usually unsuccessful, his opposition had a salutary effect in that the constabulary in other states is required to perform only actual police duty. Mr. Maurer was president of the Pennsylvania State Federation of Labor during 1912-28, and in that period the affiliated trade unions increased from 267 to 1,400, representing 400,000 members, the largest and most powerful state labor organization in America. For nearly thirty years he has been recognized as one of the ablest leaders of the Socialist party in this country and at various times he has served on its national executive committee. In 1916 he was a member, with Morris Hillquit and Meyer London, of a committee representing his party which laid before President Wilson a plan whereby the United States should act as arbiter in an international conference to bring about a peaceful termination of the World War. He is [resident of the Labor Age Publishing Co., and a director of the Brookwood Labor College at Katonah, N.Y. Since 1917, by appointed of three succeeding Pennsylvania governors, he has been chairman of the Pennsylvania old age assistance commission. He has made two tours of Europe, studying the social insurance systems of other countries, and has become a recognized authority on that subject. 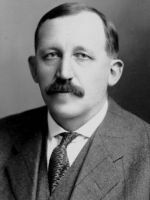 In 1927 he was elected councilman and finance commissioner of the city of Reading by a large majority over the combined votes of his Democratic and Republican opponents. In 1928, in recognition of his emeinent and devoted services to his party, he was nominated the Socialist candidate for vice-president of the United States, the candidate for president being Norman Thomas. Mr. Maurer is a man of wide reading, of great personal charm, and of soundness of view. He was married, Apr. 15, 1886, to Mary J., daughter of Huzinga Missimer, of Pottstown, PA, and they have two children, Charles H. and Martha M., wife of Ralph Dundore.